Barb Tilsen’s songs, whether for adults or children, inspire us to treasure what is beautiful in our world and in each other. Her music moves us to sing, work and act together in ways that build a healthier world for us all. 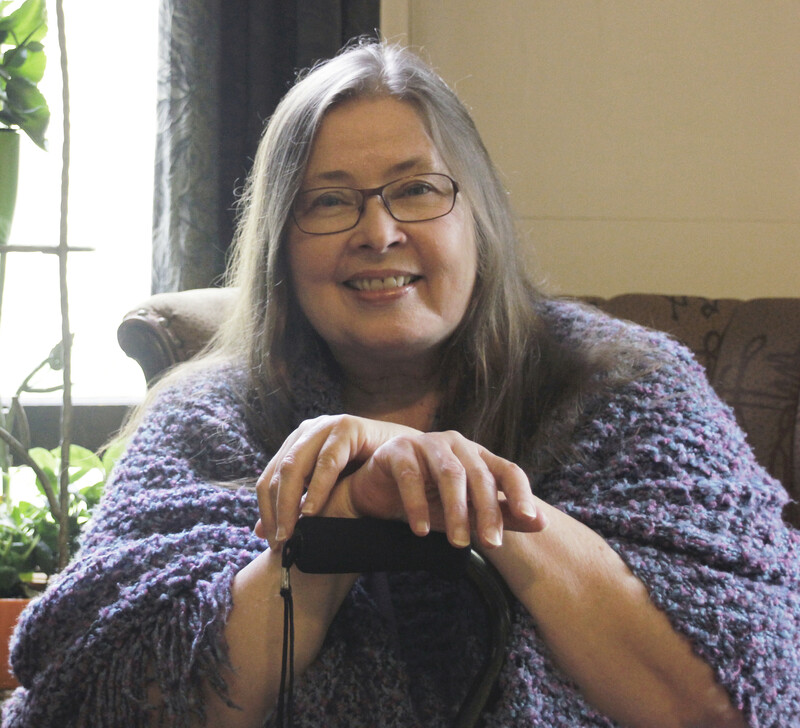 Barb’s songs and poems are rooted in the lives and stories of people all across this land. She writes with both humor and insight as a woman in our culture, as a peacemaker, a community-builder, a mother. Barb has been performing for audiences of all ages since 1971. She has performed at community gatherings large and small, in coffeehouses, peñas, powwows, rallies, and picket lines. She has appeared in concert halls, in conferences, colleges, festivals, daycares and schools. Barb brings her music into many life cycle events–weddings, birth and coming-of-age ceremonies, memorials and tributes. She cites Pete Seeger, Ella Jenkins and Meridel LeSueur as her biggest influences as a songwriter and a poet. Meridel, in particular, has been a special mentor, muse and grandmother—Barb is married to Meridel’s grandson. Her moving prose and poetry deeply grounded in movements for social change have been a guiding inspiration in Barb’s music. Barb has two CD’s for children – “Take the Seed” which received a Parent’s Choice Recommended Award in 2016, and “Make a Circle Like the Sun,” one of the recipients of a 2001 Children’s Web Award for Best Recording for Young Children. Her new recording for adults, “Sacred Ground,” includes timeless songs for a changing world—music and poetry voicing the many different ways we love and care for each other, our children, our planet, and our future. Barb’s songs for children come from her wonderful sense of what kids can relate to and how they feel. Her songs are 100% kid-tested, kid-approved. They have grown out of her day-to-day musical work with children in preschools and public schools. She moves from light-hearted funny songs to ones that touch in meaningful ways on real issues in children’s lives. Her music, her classes and her performances are hallmarked by her great sense of fun, her respect for young children and her unique way of musically touching their hearts. Barb has brought her music into hundreds of early childhood and elementary-age programs over the years. She developed her own creative music program for young children, Sound Beginnings, which she taught in Minnesota preschool programs from 1986 through 2014. Barb was on the Artists in Education Roster of the Minnesota State Arts Board for many years offering artistic residencies to public schools. Barb was also a registered trainer with the Minnesota Center for Professional Development offering in-service teacher trainings on creative music with children. For a number of years she worked as a teaching artist on the staff of The Children’s Theatre Company in Minneapolis teaching classes in musical storytelling and she was a faculty member of the West Bank School of Music. Barb served on the Board of The Children’s Music Network (CMN) for nine years and during that time was their web site manager and online services coordinator. One of her major projects there was to create the Peace Resources Pages, an online listing of songs and other resources for peace, which was the nucleus for CMN’s current newly expanded online Song Library. Music has always been an important part of Barb’s life. Inspired by her Scandinavian roots and the button-accordion her Swedish great-uncle Ernie played in both dance halls and family gatherings, she learned to play the accordion herself at age ten. With the burgeoning folk revival and protest songs of the early 1960’s, she started playing guitar and wrote her first song in 1962. Throughout her life, Barb has had a rich history not only as a performer, but also organizing concerts, programs and events as a coordinator and a publicist. She was a musician with Alive & Trucking Theatre in Minneapolis performing plays about social justice issues in the early 1970’s. She organized musicians to participate in the Black Hills International Survival Gathering in 1980 and coordinated its main stage. In years past, she was part of the Minnesota Committee for New Song bringing such acclaimed groups as Inti-illimani, Quilapayún, Guardabarranco, Daniel Viglietti, and Isabel & Ángel Parra to Minnesota. She has worked with a wide variety of groups as an organizer and as a performer on cultural and political events—International Women’s Day, the American Indian Movement, Heart of the Earth Survival School, Mississippi River Revival, Prairie Island Coalition Against Nuclear Waste, Women’s International League for Peace and Freedom and many others. Barb has collaborated with her life-long friend, photographer Gayla Ellis, throughout the years combining the stunning visual imagery of Gayla’s photography with the powerful lyrical imagery of Barb’s songs into musical slide shows that create an artistic dynamic all their own. In one such show, the two worked with Barb’s 11-year old niece to develop a piece, “Kimberly Rose,” to organize funds, runners and awareness for the 1993 Run for Freedom, a spiritual run from Winner, South Dakota to Sioux Falls State Prison. Later, they expanded and recreated the musical slide show to incorporate visual images of the runners and excerpts of Barb’s taped interviews with them into a narrative show describing the 1993 Run. In 1995, Barb worked with Gayla to co produce “Honor the Earth,” a musical slide show for the Indigenous Women’s Network/7th Generation Fund exploring themes of ecology, Native American sovereignty and issues of strip mining, toxic waste and hazards to the environment. The “Honor the Earth” musical slide show, narrated by Louise Erdrich, was used throughout the Honor the Earth Tour of the Indigo Girls that year, raising funds and awareness for Native American groups organizing around these issues. 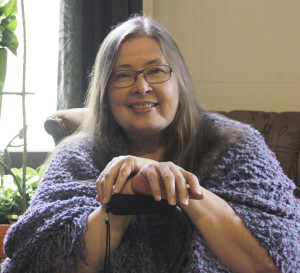 Barb was a founder and organizer of the Midwest People’s Music Network which brought together musicians across the Midwest working on issues of peace and justice. She has produced concerts and events featuring Pete Seeger, Ronnie Gilbert, Charlie King, John Trudell, Bright Morning Star, and the San Francisco Mime Troupe. She has collaborated musically and performed with poet Meridel LeSueur, and has written musical plays and created performances with puppeteer Margo McCreary and photographer Gayla Ellis. Barb’s songs have been performed and recorded by musicians around the country. Her songs have been included in radio shows and on public television. Barb has been published several times in Sing Out! magazine, Pass It On! –the national journal of The Children’s Music Network, as well as in Broadside Magazine, Raised Up Singing, River Circular, Folkestone News, and in the books “Gifts of Caregiving,” “Irene” “Every Woman Has a Story,” “Close to the Ground” and “Solid Ground.” Her poetry was featured in the Broadside Series of the Powderhorn Writer’s Festival, and she is a contributing artist on several film, video and recording projects. Over the years Barb has collaborated and performed with visual artists, dancers, actors, photographers, puppeteers and other artists on stages throughout Minnesota and beyond. She is currently working on a book of her poetry.